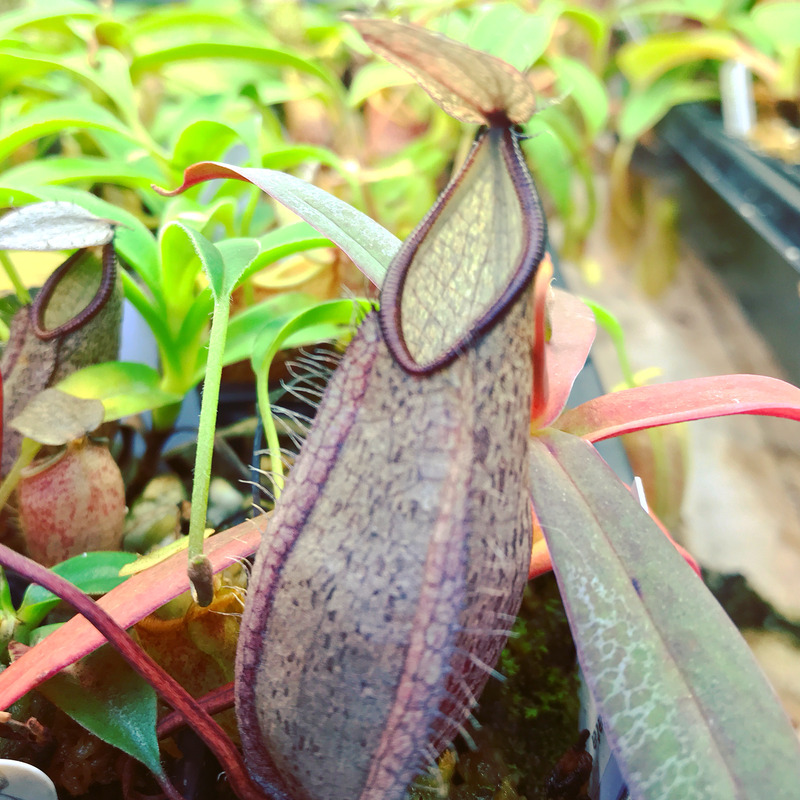 Nepenthes tentaculata Gunung. Tambusisi form BE-3870 Big Plants! A small delicate highland species. The pitchers sport bristles on the upper surface of the lids. selected clone out of microprop. Introduced in Jan 2018. This clone is the most vigorous isolated from a grex of seeds. The photos shown here are of this exact clone.